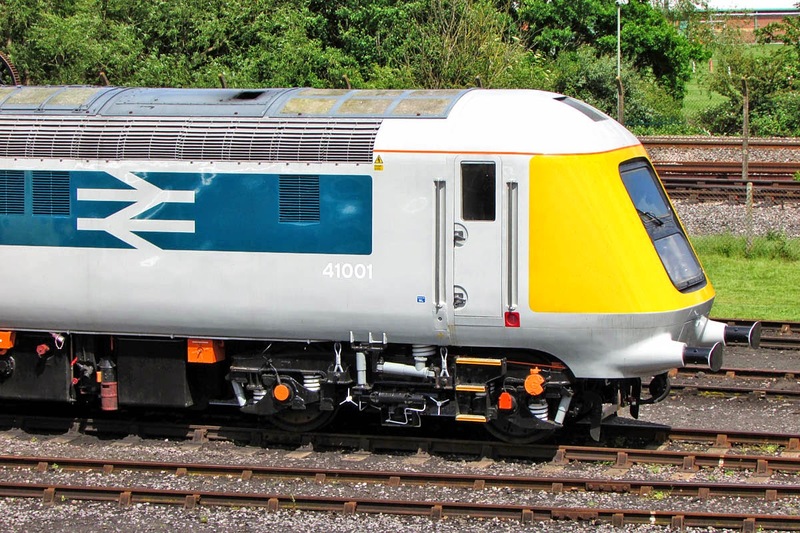 41001 was completed at Crewe in June 1972 as the first prototype HST power car, achieving a then world diesel train speed record of 143mph on 12th June 1973. Later renumbered 43000 and withdrawn in February 1977, after which it spent some time in departmental usage as ADB975812 before passing into the National Collectionb in 1985. Of late the car has benefited from Project Miller, which has installed a working Paxman Valenta power unit (S508) into the power car. Since its visit to Didcot, the power car has been moved to the GCR(N) where it has moved under its own power, making a loaded test run. Cab visits were possible in true 'Open Day' style. 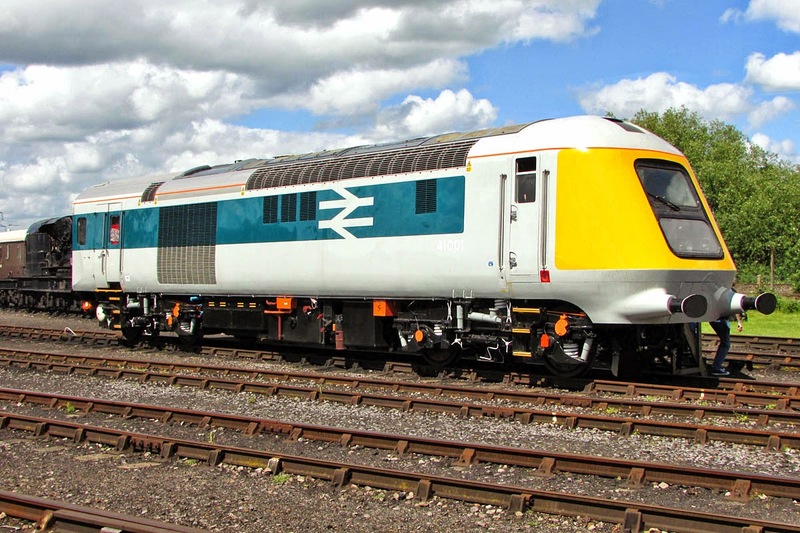 Looking good enough for a BR publicity picture. 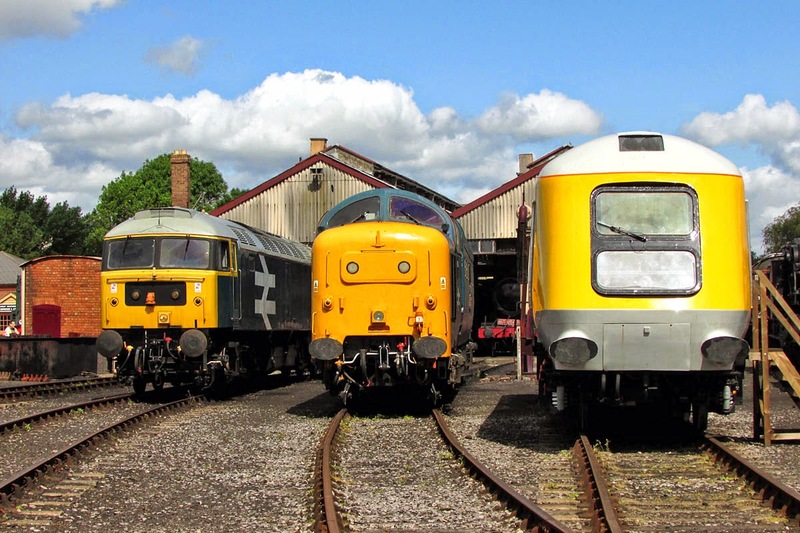 Main line power line up - Brush-Sulzer Type 4, English Electric 'Deltic' and HST power car. The video is mainly to share the Valenta sound. The legacy: the first production power car 43002 passed by Didcot, new to traffic from Crewe in February 1976. 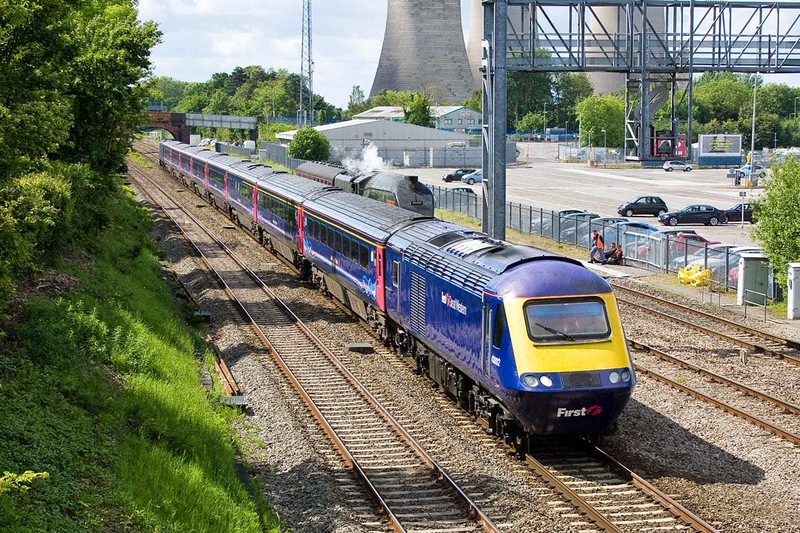 The HST is 38 years old, and the A4 in the background is 77, but with only 29 years in normal traffic. There is an interesting article on the earlier service experience with the Valenta and HST in Modern Railways from March 1979. This was the thin, low page number, edition from the worst period of the 'Winter of Discontent' but I bought it anyway on the strength of the article. 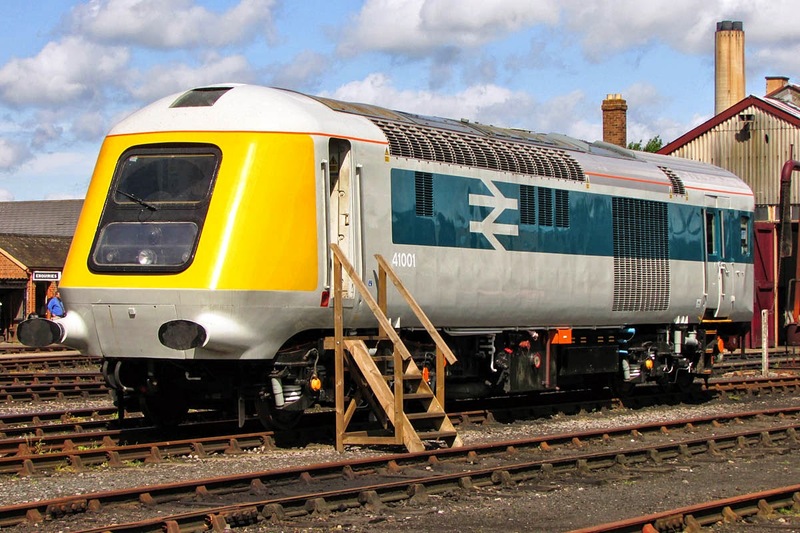 Also looking at reliability issues is HSTs at Work by Ford and Perren (Ian Allan, 1988) .